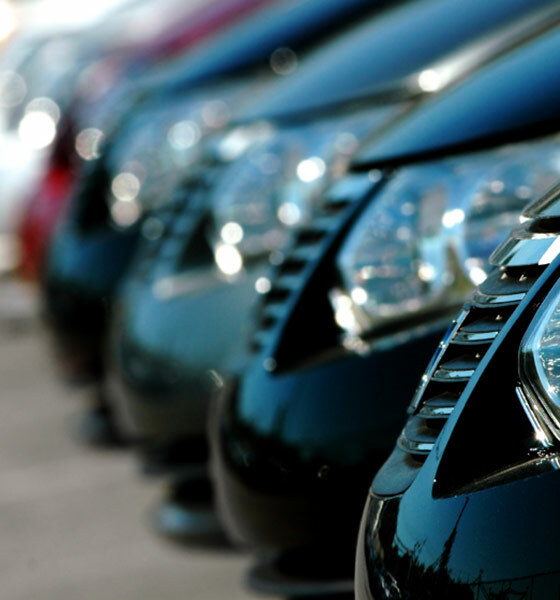 FleetPartners are one of Australia’s largest novated leasing companies, providing services to a variety of clients from individuals to large corporate fleets. FleetPartners is one of Australia’s most recognisable names in the extremely competitive novated lease industry. Utilising the services of Esendex since 2007, FleetPartners enjoys the convenience of SMS as their main avenue for communication, using it to communicate crucial maintenance procedures. The booking of vehicle servicing with an accredited partner is a critical process in maintaining their 50,000 vehicles currently on the roads. It is the priority of FleetPartners that all their vehicles are as safe and comfortable as possible for their customers. Effective communication with both the servicing partner and the customer are fundamental to the smooth running of this transaction. FleetPartners’ OneClick Servicing is an automated servicing booking system embedded within the maintenance section of their website. As a vital operation of the business, it is important that it be easy to operate for customers, as well as be a reliable automated system for FleetPartners themselves. The servicing booking system is entirely automatic with the SMS API. Using the SMS API provided by Esendex, FleetPartners have seen the maintenance area of the business run more efficiently and effectively. With scheduling automated to SMS, the servicing of vehicles runs smoothly, and all parties involved receive instant verification of appointments. The National Maintenance Manager is thrilled with the vast improvement he has witnessed since incorporating SMS messaging into the framework of operations. 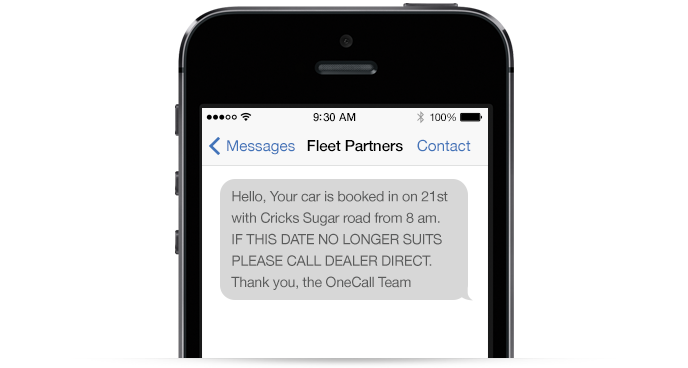 Your business can also experience the advantages that SMS messaging has to offer which are already being enjoyed by FleetPartners. With some quick development work, you can connect to the Esendex SMS API. The API is free of charge and you pay a low cost for the messages you send. Give us a call today on 1300 764 946 or email us at sales@esendex.com.au and we will be happy to talk you through your requirements for SMS alerting and SMS system monitoring in more detail.